For five days, students participated in the annual Festival of the Creative Spirit where they explored their creativity and appreciation of aesthetics through a series of practical workshops. This year’s Festival involved over 800 students, 30 staff and multiple Key Learning Areas. Students delved into a wide range of activities including writing and illustration workshops, Digital Animation courses, an excursion to Taronga Zoo, learnt the basics of computer programming and developed and presented a PR campaign. 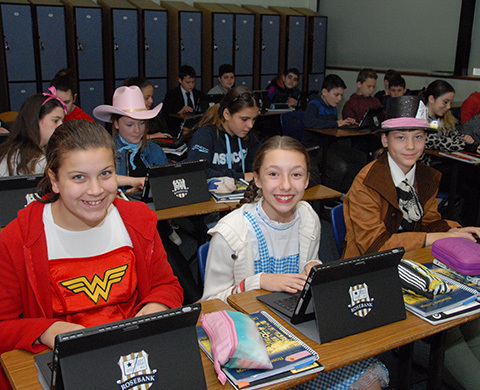 A highlight of the week was the Year 7 Character day when students and teachers bought novels to life by dressing up as their favourite character.